UK based brand, Brethren Apparel, hit the market about 4 years ago. 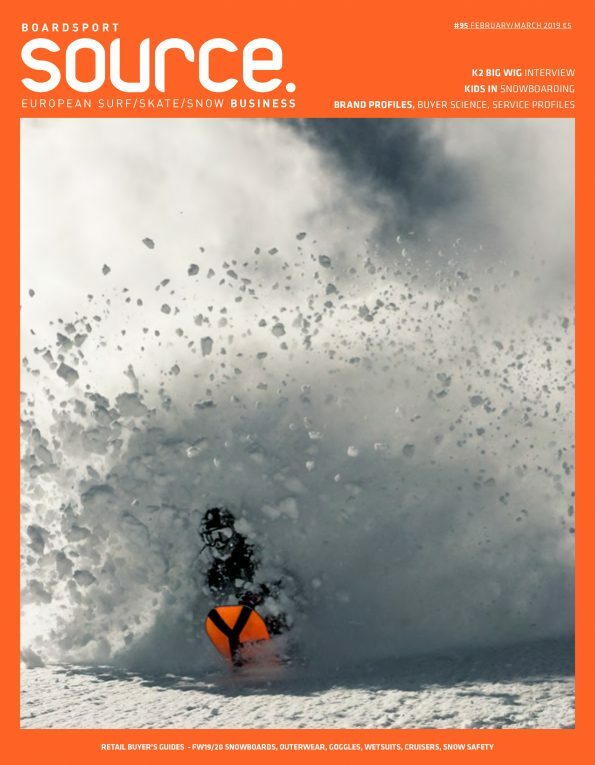 Rider owned and operated, it has grown steadily each year with the support of its loyal customers, UK indoor slopes and stores throughout the French Alps and the Pyrenees. Source talks with Director, Christ Kyte about how the brand started, what sets them apart from others and their plans for future growth. It all started with a snood I found in my mum’s riding gear if you can believe that. It was beaten and old but it was awesome and I wore it religiously. When I tried to get a new one I noticed none of the shops had anything similar. My sister was at Uni studying Fashion, so I gave her a call with an idea and as soon as winter was over we started prototyping. Four years later and we’re still making them. We are a team of two, Aisling and I handle everything that we don’t outsource. We began the company whilst Aisling was still at Uni and my background is snowboard instruction. We’re completely self taught with everything, from accounting to running marketing campaigns and developing products. It’s been a lot to learn. People over profit. We believe in doing things for the right reasons, we’re not in it for the money (“you can’t be, there isn’t any” – Aisling Kyte 2019) . We aim to bring honest goods to those who need them. 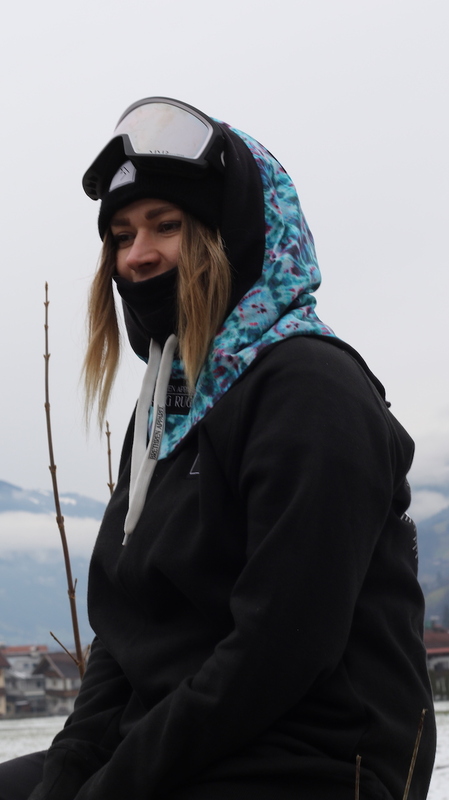 We are all here for snowboarding, whether that’s as a consumer or part of the industry that runs the show; we do our best to demonstrate the mantra that riding comes first. When it’s good outside, you won’t find us at the laptop. We put huge amounts of development into our products. We don’t buy blanks. Every product we make has been carefully designed in house with our own two hands, tested, adjusted, re-tested, until we have something we think is worthy of our customers. Every cut on every product is uniquely our own. We’re able to solve problems super efficiently too, as we are a small team. It keeps the company personal and I think that reflects in our customer service. Could you tell us about the way in which you use local resources in your products? It’s always been important to us to recognise where you’re from and support home. We’ve been working with the snowdomes in the UK in the past few years and they’ve been a huge help and given us a lot of support. We try to help out their events however we can. For us, it’s our second home. It’s our local mountain playground, where we learnt how to ride in the first place and where we will no doubt end up. Have you ridden here? Come on! But on a serious note, it’s a huge part of keeping this entire industry alive and we want to be part of that; there are so many motivated people doing dope projects that we’d like to work with. In the beginning, we ran on a lot of word of mouth, which was great as it created a really organic buzz about our products. Nowadays, we run various campaigns through our social media channels which have worked really well spreading our message. We also do heaps of collabs with other brands and magazines. So far we’ve made hoodies for Pleasure Mag, Onboard and Whitelines, as well as loads of staple shops like Slidewayz and Blackcats. If anyone reading this wants their own, hit us up, we’d love to help you out. Our customers are super loyal with our brand, so often we receive emails praising our gear and we work really hard to make sure that everyone who buys one of the products leaves 100% satisfied. We really believe in building strong relationships with our retailers too, always directing our customers to a local stockist where we can. It’s so important to keep that interaction between the customer and shop floor alive. 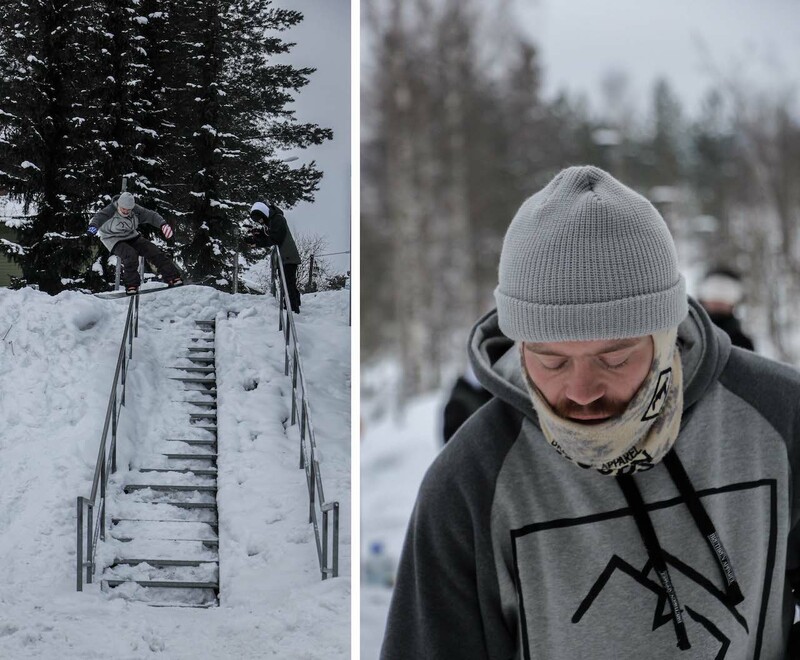 Online sales are great but the snowboard industry wouldn’t be the same without those guys in store, they pass on the stoke for the mountain and it’s something we do everything we can to support. How’s business been affected by the downturn? We’ve still actually been growing each year being newcomers to the game. Our hugely loyal and supportive following are fully responsible for this and we’re super thankful. Where are you currently distributed and what are the plans for future growth? We have a selection of really supportive core shops throughout Europe, in the Alps and the Pyrenees, but definitely have areas where we are lacking the local knowledge. Our customers can buy directly from our website, worldwide, but where possible we’d much prefer to send them to a local shop. We’ve room for a lot more growth, particularly in Germany and Italy. In terms of future growth, we’d like anyone who’s looking for some of our gear to be able to access it locally. Where can we check out your products/videos/stuff? You can check out our gear online, and in store if you have a local stockist. Hit up our website- www.brethren-apparel.com to have a little stalk. There’s a link to all our retailers in the footer there too so you can try one out at your local.